USA Microgrids is the new microgrid development arm of Minneapolis-based Open Access Technology International (OATI). The company says that it will help companies explore ways to make microgrids successful investments. 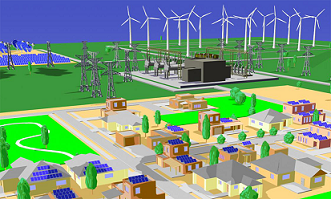 USA Microgrids performs a wide variety of services to support microgrids and distributed energy resources (DERs). The services include feasibility studies, facility operations, asset optimization, maintenance, NOC operation services, and other aspects of managing generation assets. OATI has been involved in microgrid development since 2011 and is involved in microgrid projects across North America. Most recently, USA Microgrids helped plan and execute OATI’s in Bloomington, MN, which has completed initial construction. When fully operable, the next-generation data center will showcase such technologies as combined cooling, heat, and power (CCHP), solar photovoltaic (PV) and wind generation, and energy storage. Got a microgrid idea for the Federal Infrastructure Plan? With plans being offered by Senate Democrats and the Trump Administration to rebuild and renew infrastructure, the International District Energy Association is developing a list of potential potential district energy/CHP/microgrid projects. IDEA plans to present the list for consideration in a pending Federal Infrastructure Plan. IDEA and its affiliate the Microgrid Resources Coalition is hosting Microgrid 2017 in partnership with Microgrid Knowledge, Nov. 6-8 in Boston. Register today. Texas utility Oncor has selected Greensmith’s GEMS software to orchestrate performance of a variety of complex grid applications supporting power quality and energy availability. “We chose Greensmith as a partner and software provider to help expand the functionality of our microgrid and enhance individual components and overall system reliability and performance,” said Michael Quinn, Oncor’s vice president of strategy and chief technology officer. Greensmith says that the GEMS platform is a widely-deployed energy storage software solution globally, with a robust yet flexible feature functionality for grid-scale, behind-the-meter and microgrid storage control architecture. 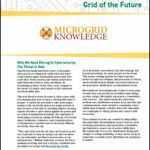 Track news about USA Microgrids, IDEA, Oncor and Greensmith by following Microgrid Knowledge on Twitter @MicrogridNews.